I'll start you off with some pictures from a walk along the Hudson, I forgot that with my new phone I have the panorama function. 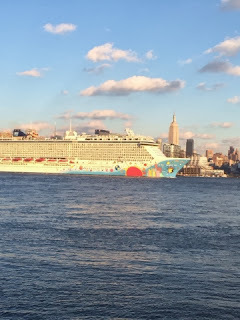 So here's my first pano of the NYC skyline and a cool picture of the Norwegian Breakaway making a breakaway with the Empire State Building in the background. 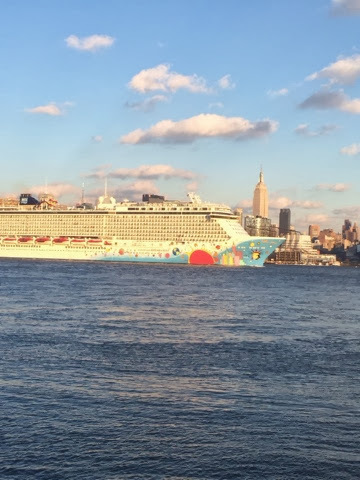 I've cruised out of NY once, an it's a pretty cool feeling sailing along the city on a ship that is equivalent to a skyscraper floating down the Hudson River on it's side. Next up, our window on Tuesday during the big snow storm, I thought it looked pretty, almost like that fake snow stuff that you spray. 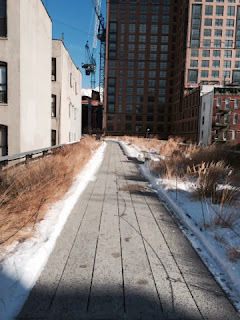 Then the following day I took a picture of snow on the Highline. Lastly, this week I received a free box of graze, a website that offers fulfilling healthy snack food at your door for $6 including shipping. 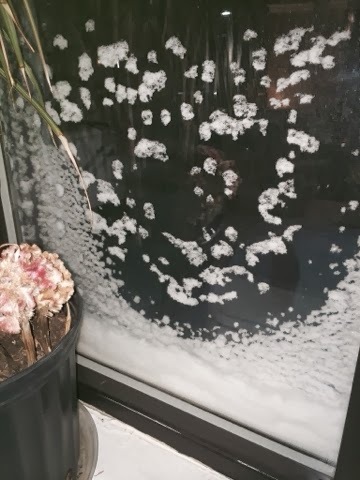 So far I've only tried one of the snacks which was delicious! But I'll try to do another post soon about all the snacks and showing you more of it. 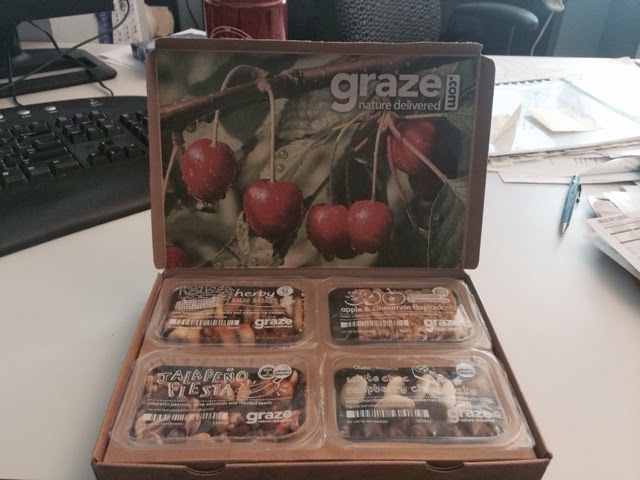 If you want to learn more about graze check out their website. And, if you want to try a free box you can use my "friend" code www.graze.com/us/p/SHARIL9XU. You will get your 1st and 5th box free and I will get $1 to donate towards the Graze School of Farming.